If you’re thinking of getting a dog for you and the family then congratulations. However, before you join the club, there are some things you need to carefully consider. Owning a dog is a wonderful and adventurous journey, but it’s also a responsibility. Much like bringing up a child, it can be a demanding and costly experience. But it’s worth it for the joy of having a furry addition to the family. Still, you need to make sure you’re ready. Here’s a guide for anyone thinking of becoming a dog owner. Choose the right dog for your family household. So many new dog owners fail to appreciate that different dogs are right for different households. Any dog can be trained and tamed, of course, but that doesn’t negate the fact that certain breeds are better suited to certain living situations. For example, a larger dog won’t feel comfortable in a tiny flat. The mental wellbeing of your pet is important. If they feel stifled and unable to stretch their legs then this will affect their levels of happiness. In turn, this will make them unhealthy. And that won’t be very pleasant for you as their owner. You also need to choose the right dog in terms of your family. For example, an energetic dog might not be right for a family with little kids. That large and excitable dog might be full of love, but this could be overwhelming for a growing child. You might want to check out Vizslas because these Hungarian hunters are well-suited to family households. They’re loyal and loving. You need to put a lot of thought into choosing the right dog for your family household. It’s not enough to pick a cute breed; you need to pick a suitable breed. Get the right tools and toys. Your household needs to be well-stocked and well-prepared before you invite a new dog into it. Much like bringing a new baby home, you need to instantly make your puppy feel welcome and happy in their living space. You need a leash, a collar, a dog bed, toys, and so on. These accessories should be bought in advance. The goal is to make your dog feel as happy and comfortable as possible. Those first few weeks of a puppy’s life are essential to its mental development. The more relaxed they are in their surroundings, the more relaxed they’ll be with your family as a whole. Again, it’s the same as bringing up a child. As mentioned in the previous point, the first few weeks of a dog’s life are hugely important. You need to give them all the love, attention, and resources possible to ensure they’re happy in their new home. Most importantly, of course, you need to train them. This is the most essential part of integrating a dog into your family life. Many dog owners make the mistake of assuming a dog is already trained or that they’ll have time to train them later on, but it’s something you need to do immediately. If you ask most people, they’re likely to agree that having pets is a great thing. Not only are animals loyal and playful, but they’re just a lot of fun to have around and they really bring a certain energy and joy to a home, especially one that’s filled with a family. However, having a pet is a big responsibility that too many people simply underestimate, so it’s important that you really think your decision through before getting a pet since a lot of animals end up homeless or in shelters where they’re often killed after someone decided on a whim that it would be cute or fun to get a puppy or kitten and then realize that they’re actually totally un-equipped for life as a pet owner and can’t manage the responsibility of one. So, in order to hopefully prevent further tragedies like those mentioned above, then in this post, we’re going to share with you some things to consider before getting a pet. This may sound a bit crazy at first, but especially where children involved or one person likes the idea of a pet more than the other, then there can be a bit of pressure involved, and whilst it’s always good to have some level of compromise in family decisions that don’t just involve you, it’s also not responsible to agree to get a pet just because that’s what someone else wants – yes, even when that someone is your child. In fact, often that’s even less of a reason because you’re likely going to end up caring for the pet and could feel resentful, so it’s important to make sure that you really do want a pet for the right reasons and aren’t just backing down for the sake of pleasing others. 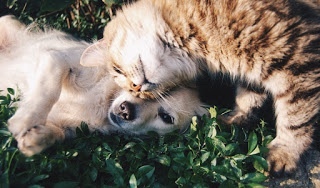 Pets are a big commitment, so if you have a busy life such as work and an active social life, then it’s really worth evaluating whether or not you actually have the time for a pet or not since this can mean that they’ll be on their own a lot and this really isn’t good for them since they do need a lot of attention and care. Many people seem to massively underestimate just how expensive pets are, but this is definitely something you should be taking into consideration before getting one. Even when adopting a pet, you’re going to have to pay for things like burns dog food, toys, vet bills, insurance and just other costs that may crop up from time to time, so it’s really worth seeing if you can afford it because it’s not fair to a pet to get one if you’re barely able to take care of yourself. Just like having time is something you’re going to need when you have a pet, your lifestyle also has to be suitable. For example, if you’re someone who has to travel for work a lot or simply enjoy traveling, then it’s really not going to be fair to keep a pet. A weekend getaway can be a great way to relax and escape the stresses of everyday life. But a weekend escape often means having to leave your pet behind. But why should they have to miss out and all the fun? Taking your pooch away for an adventure can be a fantastic way for you all to spend time together, meaning nobody has to miss out on the fun. Enjoy a trip to remember with these tips for planning the perfect weekend getaway with your dog. Different animals have different tolerances for travelling, and some dogs might not cope with travelling for too long in a car. It’s worth doing some practice drives to see what’s realistic when it comes to travelling so that you know your dog is happy and comfortable. Even if you can’t travel long distances with your dog, there are still some nearby spots you could enjoy for a change of scenery and the chance to get away for a bit. The next step is for planning your weekend away is to find some suitable accommodation. You’ll find dog-friendly cottages all over the UK which provide luxury accommodation in some incredible locations. Choose somewhere with plenty of outdoor space that your dog can run around in and some great nearby locations for long walks. If your dog is in poor health, travelling and being away from home might not be in their best interest. Would you want to be on holiday while you’re unwell? Give your dog a check over to make sure there aren’t any issues that might make travel stressful. If they’re off their food, sleeping a lot or showing other signs of illness, make sure you get them to the vet for a more thorough check. Everyone gets tired, agitated and grouchy when travelling, and your dog will be no exception. Making your car as comfortable as possible for your pet will make the journey smoother and help them to feel safe and at ease. You’ll want a specially designed crate or a seatbelt can keep your dog safe, which you can line with blankets, toys and other comforts to help them last the trip. Read some tips on safe car travel for pets to help make the journey easier and give you some ideas on keeping your pet happy on the road. While you might be able to eat in country pubs and restaurants, it’s unlikely that you’ll find somewhere that caters for your pooch too. Packing enough food (plus a little extra) to last the weekend will mean that your dog remains well-fed while you’re away. You could take some travel-friendly pet bowls with you so that they can eat by your side, or stop to take a break if you’re planning some long days of walking. Don’t forget to pack some treats to so that you can reward your dog for good behaviour while you’re away from home. A country escape is the perfect opportunity to explore nearby landscapes and do a lot of walking. Just as you would take enough water for you during a walk, you also need to consider the needs of your dog, especially if you’re going to be doing a lot of exercise. A portable water bowl is a great idea to take with you and can easily be packed away in a backpack. Take plenty of bottles of water with you so that you can all stay hydrated during your walk. Heading off somewhere for the weekend is a great opportunity to explore somewhere new, for both you and your dog. A new place with plenty of new smells and places to run around can make your dog extra excited, which can be a joy to watch. However, it’s important that you exercise caution when you’re in a new place, as there may be rules and regulations that you’re unfamiliar with. Beaches might have ‘no dog’ policies, or ‘no dogs off leads’, while you should always observe the countryside code when you’re in the country. Be respectful of the rules, they’re there to protect you, your dog and others from harm. When you’re staying somewhere that isn’t your home, you need to be extra cautious of your dog’s behaviour. Making sure that they don’t scratch or chew at the furniture is important if you want to have any security deposits returned! Keep them occupied with deer antler dog chews, which make a fitting gift for your trip. Don’t leave them alone in your accommodation – the whole point of bringing them on your trip is to spend time with them, so make sure you plan dog-friendly activities throughout the weekend. While you might relish the idea of being away from home for the weekend, your dog might feel a bit homesick. Even though you’re by their side, it helps to have a few familiar items nearby that they can sniff and be comforted by. Pack things like toys, blankets, and even their bed if you can, so that they feel much happier in their surroundings and soon forget about home. You might even want to consider having them sleep in your room during your stay to help them feel more at ease. 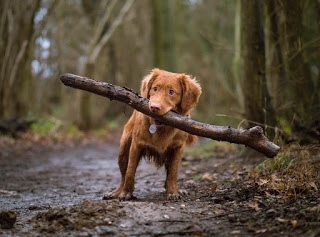 Planning a weekend away with your dog is a good way to include them in all of your adventures. You can enjoy a range of experiences as a family that will help you create some excellent memories and help everyone to feel relaxed and refreshed. Make a wish list of places you’d like to visit and get planning! Want to venture a little further? 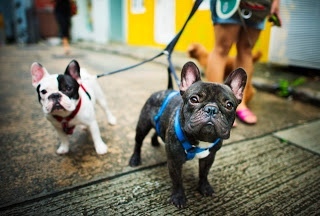 Read some tips on taking your pet abroad and enjoy even more adventures across the globe. Every breed of animal has different characteristics, and before picking a pet to love, you should put the time into researching their specific requirements. Pets are easy to fall in love with, but they demand a lot of commitment, money and time, often through many years. You may be looking for puppy rearing tips now, but are you prepared to be researching a keto diet for dogs with cancer in a decade or so? Taking on pets is a change to your lifestyle, and you have to be prepared for that and understand want the needs of the specific breed you have chosen are. Think about the time you can dedicate, how it might affect any travel plans and the cost of ownership. It can be tempting to spoil your pet with food as a sign of affection, but this isn’t the best way to show love – providing them with a nutritious, well balanced diet is. If you don’t look up advice on feeding the breed of animal you have it’s easy to over feed and cause weight gain and health issues. Your vet should be able to advise you on the most suitable food for your pet. Different pets need different levels of exercise, and this is an important concern when deciding what kind of animal and what breed will fit your life – or help you get fitter. A large dog is going to need several longer walks a day but smaller breeds may need less or other pets might be more suitable. Pets also need stimulation and an owner who can play games with them. It isn’t just dogs – other pets like cats and rabbits also need this physical and mental contact for their wellbeing. If you have a house pet it’s all the more important, as being of limited opportunity to exercise they are more prone to serious health issues like heart disease and arthritis. Having a well groomed animal isn’t just about the way they look – regularly brushing pets with fur helps you to identify lumps, parasites and scratches and stop them developing into something bad. It also ensure their coats are well conditioned and removes dead hair that will otherwise be shed on your carpet. Plus brushing your pet can be calming and great way to bond. A well trained pet is a happy and safe pet, so make sure you train yours well. If they are well trained, especially for dogs, it means that they can take part in more activities. Short, regular training sessions with plenty of positive behaviour reinforcement for your pet is the way forward.